Some progressive and some not so progressive political and social commentary. After an interesting couple of years for our editors, and a seismic few years for the global and domestic economy and social landscape, we have decided to archive Open up the Debate and move on to new pursuits. Thanks to all of our followers and readers. Long may you continue to open up the debate! An alternative market model emerging? As long as there is global capitalism, the supply, demand, production and distribution of commodities, then the global economy is always going to be private sector driven. Now, not only is there a need for cultural readjustment to how we the consumer and citizen interface and are treated in the marketplace as we are ejected from the world changing sub-prime economic crisis, there also comes an essential need for companies to change their values in order to remain competitive and to survive in a new paranoid and socially demanding consumer base. The core regulatory responses to the various market failures in recent years have taken form of complex bundles of regulations and recommendations such as that in the Independent Commission on Banking Report led by Sir John Vickers aka the Vickers Report. Vickers details a move towards ring fencing the investment arm of banks from their counterpart consumer arms, and so protecting consumer capital and increasing financial stability, the report also recommends improvements in competition such as making the switch between accounts for customers easier and free, and recommends better Loss Absorbency, laying out the need for banks to have more ready equity to absorb debt and loss if needed. 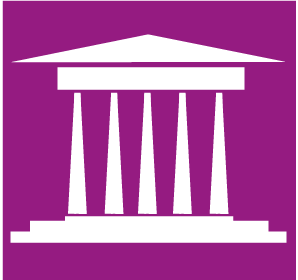 The Financial Services Authority, due to split into the Prudential Regulation Authority (PRA) and the Financial Conduct Authority (FCA) in 2013, as well as the Office for Fair Trading (OFT) will be the key independent regulatory authorities in charge of making sure these recommendations are actioned by the banks. Banks have till 2019 to implement key ring fencing recommendations, this also coincides with the global Basel III accord which will also regulate banks to increase liquidity of 4.5% (common equity) up from 2% amongst numerous other changes such as making Tier 1 Capital (the bank’s core capital) predominantly common shares and retained earnings – again as a loss absorbency measure. It would be fair to say then that the regulatory response is in the main protectionist, securing the bank’s assets in case of down turns and so safeguarding the consumer and ultimately the tax payer from high risk induced strategies and fall-outs. This is all well and good, since the banks could not self regulate to these safer ends with the tax payer and consumer in mind, then it is only prudent for government to step-in to regulate the market. Yet however effective the regulatory model, it will be up to the banks and companies to regain and maintain competitive positions in a much more sceptical and once-burned market place. To do this they will need to go far beyond the recommendations and rules set out by government and regulators. The private sector has to win back the hearts and minds of consumers and taxpayers and they will have to do this by demonstrating their new levels of social awareness and responsibility that really value the consumer and not just the bottom line. they have to do something real off their own backs. The everyday person has come out of the other side of this economic disaster zone, not just more sceptical of motives and behaviours of the banking and wider private sector, but much more educated on financial and economic matters and principles and more interested in how banks and private companies operate (and how they should operate). This new society, with its raised economic awareness, sharper understanding of markets and economics, and ultimately for the better, less naïve attitude towards the corporate machine, will be harder to kid and the private sector knows it. Voted worst bank by Good Housekeeping and reeling from a £290m fine for manipulating Libor rates, Chief Executive Bob Diamond outlined Barclays’ three-year citizenship plans focusing citizenship as one of the leading UK bank’s four strategic priorities. The plan includes a pledge to provide £150bn lending over the next three years, as well as £50bn for smaller businesses. Corporate Social Responsibility plans are by no means new but such plans are now much more under the microscope than they previously were, as banks and companies are forced for sheer competition reasons, to be more transparent about their values and motives. CSR which has predominantly focused on environmental sustainability and worker well-being, is now rightly taking more account of customers and citizens – ‘the wider community’. Alongside CSR plans, Barclays are also attempting, or at least showing attempt, to change staff cultures putting the customer first. They recently announced all their front line staff incentives will shortly be based entirely on customer satisfaction, deduced albeit by internally commissioned satisfaction surveys, this is a significant operational step as previously staff were sales target led gaining bonuses for selling lending and mortgage packages. Such changes in operation are signs of a value led consumer and citizen focused market place but go further than that by recognising the bigger impact of short term goals such as incentivized mortgage package sales in local bank branches. Value-based management can take a variety of forms, but essentially the point is the same: companies who base their management of operation on the longer term, with a clear appreciation for the impact they have on the economy, investing in their people and valuing the communities that they operate in and for will have sounder and more trusted long term operating strategies that firmly roots them in a competitive position going forward. That we are seeing a refocus however to include the consumer in CSR missions is almost so obvious that it hurts – that it has taken such a big crisis to make the financial sector lift their heads from their balance and bonus sheets. If anything could bring them out of their narcissistic and purely profit driven boxes, then this did. The Barclays plan is just one example of a number of models emerging as we turn a corner from a period of crisis and loss, to a new phase of the market repositioning and rebuilding trust, not out of the goodness of their hearts be it said, but out of survival, out of necessity. It is this inevitable force of modern society, the force of capitalism and markets, that will drive the change to allow the emergence of a values-based market model that we are all so in need of. Strategic nuclear deterrence is the ability of one state to deter another from an act of war based on the threat of a capability that is able to strike a devastating nuclear attack of unimaginable scale. Continuous at-sea deterrence extends that concept in that it silently threatens using an inert nuclear deterrence based at sea and continuous in that it can be launched at any moment in time. The threat of the ‘bolt from the blue’ lets the enemy know that even if they strike (nuclear, biochemical or conventional) – they will be hit from an inviolate submarine platform programmed to retaliate. The United Kingdom’s nuclear deterrent, commonly known as Trident is due to reach the end of its life by 2024 and if a posture of ‘continuous at-sea deterrence’ is to be maintained beyond then, it will need to be replaced with a similar system of submarines with launch ready nuclear Inter Continental Ballistic Missiles. The successor programme is scheduled for service by 2024 and is now one the most expensive defence acquisition programmes ever known on the British defence acquisition schedule at £20bn capital/outlay plus £2bn per year operation costs (second only to the Typhoon Eurofighter which recently took the lead as its forecasted cost increased to £19bn). £90 billion: a tough bill to justify? It should be. 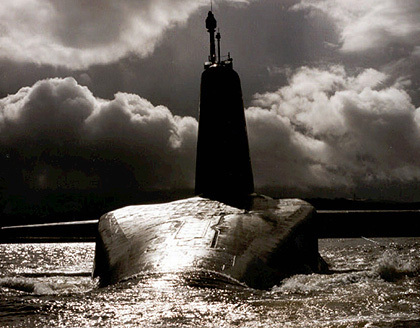 Since 2006 there have been numerous high-profile challenges to the government cost forecast for replacing Trident. These alternative estimates have played an important role in the debate on nuclear deterrence. Such alternative estimates include a reported £79bn through life cost by the British American Security and Information Council (BASIC) in 2007, a £97bn through life cost by Greenpeace in 2009 and a through life cost of £100bn reported in 2009 by the Disarmament Research Centre at Bradford University – this latter cost being cited widely by the Liberal Democrat party, reinforcing their firm disarmament policy (pre-2010). The significant difference between these estimates and those provided by the Ministry of Defence can largely be based on the £15bn to £20bn government figure that relates only to capital expenditure and not operational expenditure. There are multiple factors that will have a negative impact on the accuracy of current estimations for the successor programme (not taking into account inter-generational inflation, not taking into account operational costs or conventional weapon protection systems and so on), is one of the most complex and largest of those programmes. This reinforces the need for a clearer and more robust costing in the future to improve the public debate on this central pillar of defence policy. Will the Green Climate Fund deliver funds to assist developing nations or expand the profit margins of shadowy private equity firms? In the aftermath of the recent Rio +20 summit which, was almost universally decried as a toothless flop, The Green Climate Fund (GCF) survived and could be instrumental in assisting nations in following more sustainable development pathways. The GCF was first discussed at COP 15 in Copenhagen and has a current value of $30bn, due to rise to $100bn by 2020 under the UNFCCC agreements. 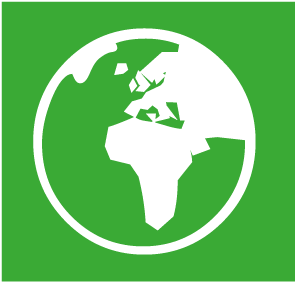 The purpose of the fund is to facilitate the transfer of “new, additional, adequate and predictable financial resources” from developed countries to support mitigation and adaptation projects in developing nations. However, there is a concern that even if developed nations do deliver on their commitments to contribute new finances, that the mechanism of delivering this may be at risk from private companies positioning themselves to help developed nations with their ‘investment’. 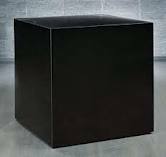 This is commonplace in the development funding context where public funds from developed nations are pooled or commingled and passed via the World Bank or its subsidiaries, to private equity firms usually based in tax havens making them intentionally opaque, also known as a ‘black box’. These funds are then provided or ‘on-lent’ to developing nations, often under punitive terms which maximise profitability. If, as anticipated, the GCF adopted these same mechanisms for the management, governance and distribution of funds then this could lead to two undesirable outcomes. Firstly, placing financial and market above scientific analysis in the selection process for allocating funds could lead to the misapplication of the funds based on profitability instead of environmental or social impact. Secondly that any impact of the funding could be undermined through the use of the resulting private sector profits for investment in large scale fossil fuel projects in another part of the investment portfolio. Current proposals outlined by the Transitional Committee, tasked with temporarily administering the GCF, suggest that these fears may be justified. The World Bank has been identified as the most likely temporary trustee of the fund and provision made to allow the commingling of the GCF. So, how to avoid this situation given the limited funds and the demonstrable needs of developing nations? Ensuring that the funds are issued in a transparent and equitable manner with the participation of those nations in the process is essential. This could mean a role for a public or non-partisan organisation, perhaps one of the existing UN agencies in identifying projects based on need, impact and appropriateness rather than profitability. Undeniably, these funds are urgently required as climate change impacts, especially in areas of sub-Saharan Africa and Asia, become increasingly acute. However, access to these funds should not be contingent on the further indebtedness of these nations to the World Bank or worse still, private equity firms thus compounding their challenges and making them more vulnerable to the impacts of climate change not less. Governance structures for the distribution and management of the GCF are yet to be finally finalised so there remains time to ensure that they are robust and equitable. Whilst developed nations are obligated to provide these funds, developing nations should not be obligated to accept them at any cost. 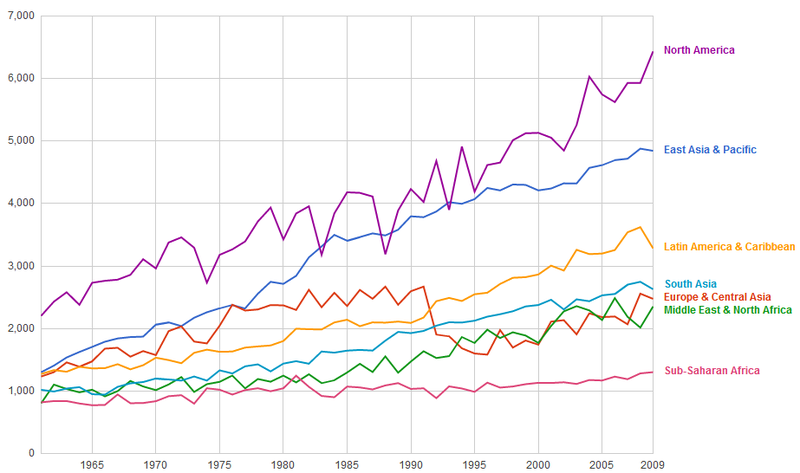 Economic growth, Does it really matter? Progressive thinkers, corporations, economists, social scientists, commentators and citizens have fired the debate on what really matters. With all manner of dialogue on happiness and well-being, sustainability, it’s hard to escape the progressive new wave. You know what I’m talking about. The stuff that sounds a bit new age, and that often one reflects on: hm yeah, sounds great, but I really can’t see this changing in my company/life/country/house any time soon – I mean I hardly have time to go shopping, and when I do I certainly want a nice sum of cash to go with, let alone measure my happiness index …. Now, I could literally sit here for days and talk about all that – I won’t. There are much more interesting commentators with wise words to speak on these matters (places to start include NEF, TED and so on), so, I’m not going to. 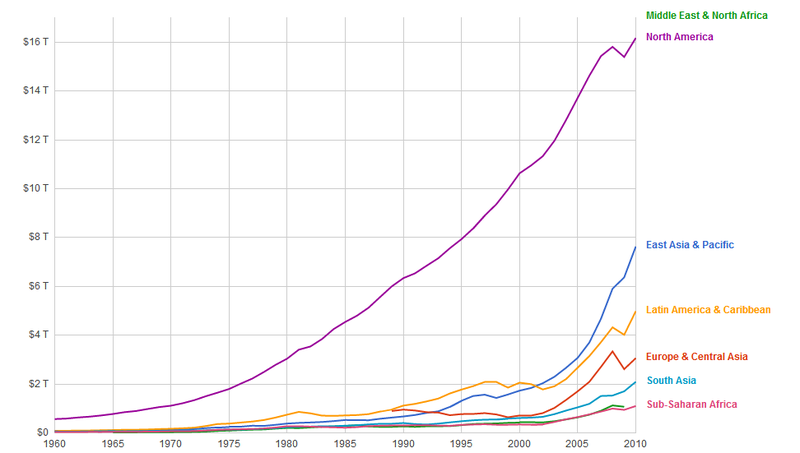 Instead we’re going to do data time, because we all love a bit of data* (all courtesy of Good Public Data/Word Bank). 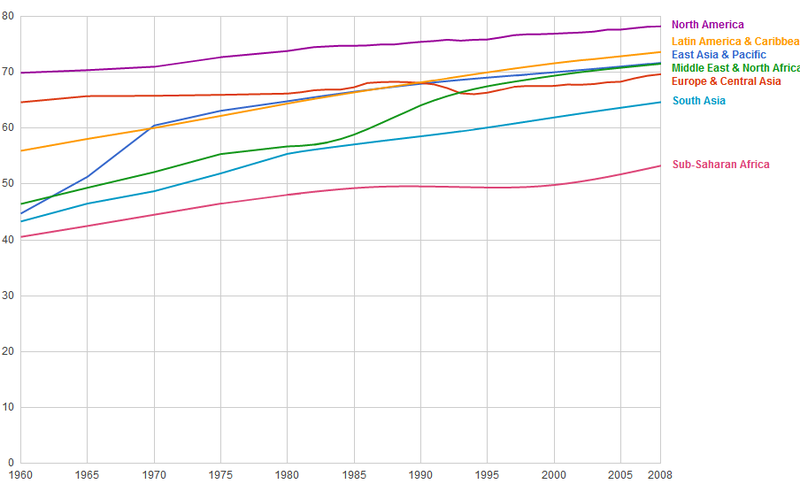 And we are living longer (life expectancy) …. 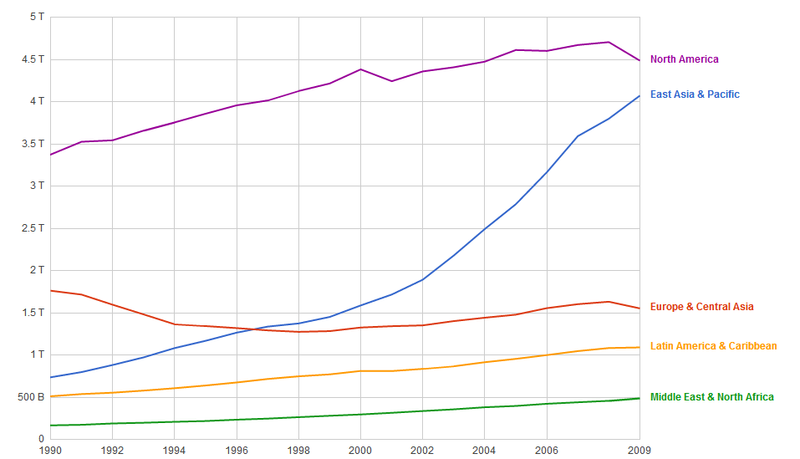 So the million Drachma/Dollar/Euro question – are we getting happier?? So does the growth thing really matter ? If there is no growth, will we all die? No. Not immediately, but we would have to change the way we live in the short and long term. Companies won’t expand, so the whole market stabilises. Meaning there might be less movement of people between companies. But would that happen? It’s likely we will always have all growth – that’s the consensus. But what if that’s not the case, what if equilibrium is where we are heading and what if, just for argument sakes, that isn’t such a bad thing. We will have pockets of growth driven by fewer but more powerful market forces. We would be closer to equilibrium right? Like in an experiment? If there are less molecules going from one side of a chemical equation to the other, then we are closer to equilibrium. A steady state. And maybe this is where happiness lies. Happiness. Something we all want and strive for. An indicator I’d imagine most if not all people if they were being honest, would say is the realindicator for human development. But not totally surprising is rarely if ever used as an indicator of development for richer or poorer. Economics after all, usually looks at what people DO and not how people FEEL, or what people SAY. BUT …. I FOUND SOME HAPPINESS DATA! 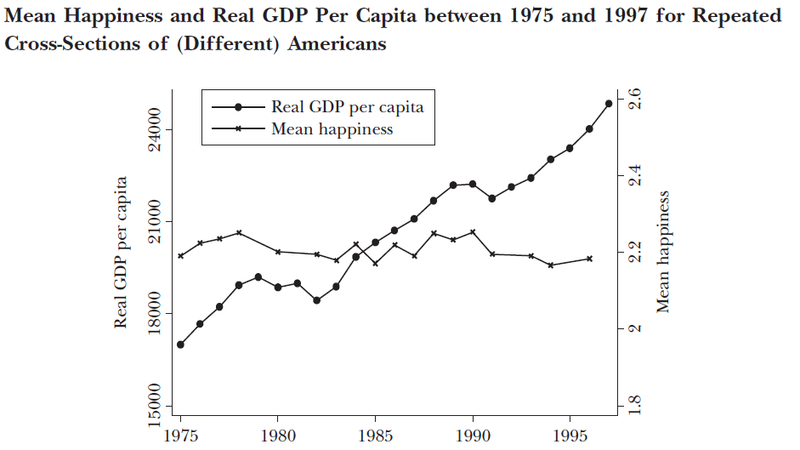 I won’t go into happiness economics, it’s a massive subject area and can get pretty philosophical, but I will say is the data, generally doesn’t show we have got happier in the last 50 years and before that there wasn’t any data so we can only guess. So we’re getting richer, and now that is slowing down, but we’re not really getting happier. So does growth matter? Of course it does. But does it matter more than happiness of us and the health of our planet? No way. A great reflection of how non-progressive a society we really are then that governments are so intent on pushing economic growth as their number one agenda. It’s a question of motivation. Money motivates people and a consequence of that, in the right fertile environment, you get economic growth. Maybe if we didn’t care so much about getting rich (individually or a society) we would be happier. Maybe if we could all somehow realise that if we can be motivated by happiness and that need not be predicated by wealth, or spending, if we could spend more time not thinking and behaving so closely with money, then maybe we’d all be a little bit happier. Then of course we might start to think about how we can change our whole culture towards a happier value system altogether. I say this yet I am totally motivated by money. I’d be lying if I said I weren’t, and yet I class myself amongst the liberals. So why? The thrill of the chase is one element, what would replace this? And the second element is the result – what we get out of it. Well we could still set up businesses and convince people to buy our products, but if we weren’t getting relatively higher amounts, then there is no value on the size of the kill. So yes, you need the result as well as the chase. I killed a baby zebra and brought it home to the lair. I killed a baby elephant and brought it home to the lair. This is much more easily quantifiable – the end goal, more food for the family, is much more quantifiable – and as such it is a reflection on oneself and therefore goes to the core of our beliefs, and yes our motivations. Making money is similar, it puts the size on it – obviously of course, nothing new here, that’s why capitalism is such an amazing and until now unsuccessfully challenged system. No other system provides a single way to quantify value of things as money, and as such nothing yet has come close to replacing it as the global social and economic driver. Most of us don’t really know what we want and so we put money in the cross hairs. It gives us something to focus on. This happens with work, and it happens with life. If we don’t know what we really want to do, and there are many of us in that boat, then the salary/bonus/next sale becomes the focus. We see it with shopping too. Most of what we buy on the high street is down to retail therapy. It provides instant gratification. It makes us happy, albeit temporarily, and so we don’t really have to think about what makes us truly happy – will can just fill the void, and if it we do it over and over, so it becomes habitual, well – we don’t really have to ever think about it. But we should, we should all think about it – if only a little bit more every day, and if we did we might all be a little less focused on the economic change and more on happiness. Well to start off you probably want to look at the Mayor’s portfolio – what they do – which is: setting the budget for London (£14.6bn), policing, transport, fire and emergency planning, housing, environment, planning and development, arts and culture, public health promotion, economic development and regeneration. These are explained further at the very helpful London Elects. Then you probably want to look at some of the policies Ken implemented and some of the policies that Boris implemented. Remind yourself of what they both did. And move out of the current media hype, get some perspective on reality (it certainly helped my decision process). Here is what I found I have tried to remove what look like dodgy or bias statistics/claims. Create 200,000 new jobs over next 4 years. 1,000 more police on the beat. Restoring 300 acres of green space and planting 20,000 street trees. Olympic legacy – 11,000 new homes and 10,000 new jobs. Reducing Tube delays 30% by 2015. Building Crossrail and orbital rail to link suburbs. Extending the Bike Hire scheme. The data is there, for example after some quick trawling on Google, I came across the nicely bundled data sets at the Guardian who in turn had extracted lots of the data from the Office for National Statistics and the London Dataset. But if you don’t have hours to analyse it, you might be better off making a decision on what the candidates have done, and are proposing to do and their track record for sticking to their pledges (only Boris and Ken have ever been elected Mayors of London). Also – tactically you might not want to vote Green as based on previous figures and current polls they don’t really stand a chance (saying that, if everyone thought like that nothing would change).And then there’s the data. Obviously it’s really important to see where and when crime has risen or decreased, or where congestion has improved, or where cycle safety measures have been implemented, but the problem is with looking at time series data sets (like the change in crime rates in one London borough between the start of Boris’s mayoral tenure and now) is that many of the bigger problems like crime will not always change quickly in response to a policy. Also some policies may take so long to implement, that it might look like the current Mayor is doing it when in fact it was the previous mayor. Also the two players with a track record will use stats to show how they are the men for London. Always be wary of stats as a rule of thumb. For example, Boris has said “The murder rate is down by a quarter”. This could be down to so many factors, I doubt police on the street is the single variable. It’d more than likely to do with police practices, local neighbourhood schemes. In fact when murder rates in the US dropped recently, no-one could explain why. If he says crime on buses is down – is that because less people can afford buses or because he has good public transport crime fighting strategy in place. One view would be that because it’s ultimately so difficult to make a clear decision on an the integrity of either candidates campaign in terms of likelihood to deliver, then as a voter it would be better to just vote on the basis of either one area that you feel really strongly about or better still, that you know about. Failing that, go on personality – it’s not as stupid as it sounds: how do these guys appear on the international stage for example? Boris certainly has a flair that sparks a wider identification of the London mayor with his electorate, which is always a good thing. But also, Ken secured the 2012 Olympics bid so he knows how to operate. Commentators have also suggested that Ken’s advisory posse are just better at connecting with local neighborhood committees on issues such as racially motivated crime and social inequalities, compared to Boris’s team who have been criticized as removed from the real issues. This, in itself, if true would be enough to swing it for me. Then there’s the wider politics. Will Boris be able to secure a better deal from Davey and Nicky at Number 10 – he seems to think so? Either way, in 24 hours we’ll know. Vote wisely, it’s your capital. O! we like this. Maybe you will too?